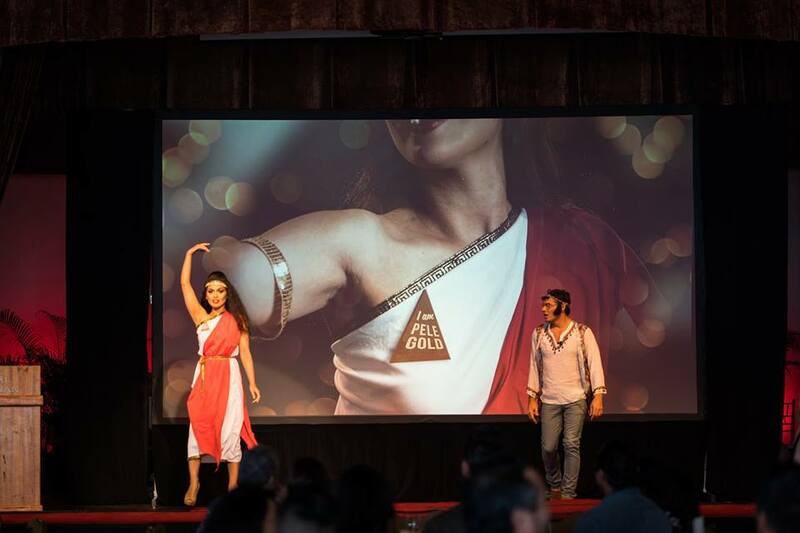 Last week we had the opportunity to experience our first Pele Awards, which celebrates and recognizes some of Hawaii's best work in Advertising and Design. The Pele Awards are the Hawaii district competition for the American Advertising Awards (aka the ‘ADDY' Awards). 'Gold' winners from the Pele Awards are then entered into the national ADDY competition. Held at the Royal Hawaiian Hotel, evening was accented with entertainers and a display of the works from all the nominees. We had a great time catching up with familiar faces, as well as meeting new folks. Being our first foray into the Pele Awards, we weren't quite sure what to expect, particularly as a small niche agency. But we were thrilled to be recognized and win Pele Gold for our work for the Yauatcha Waikiki Grand Opening. 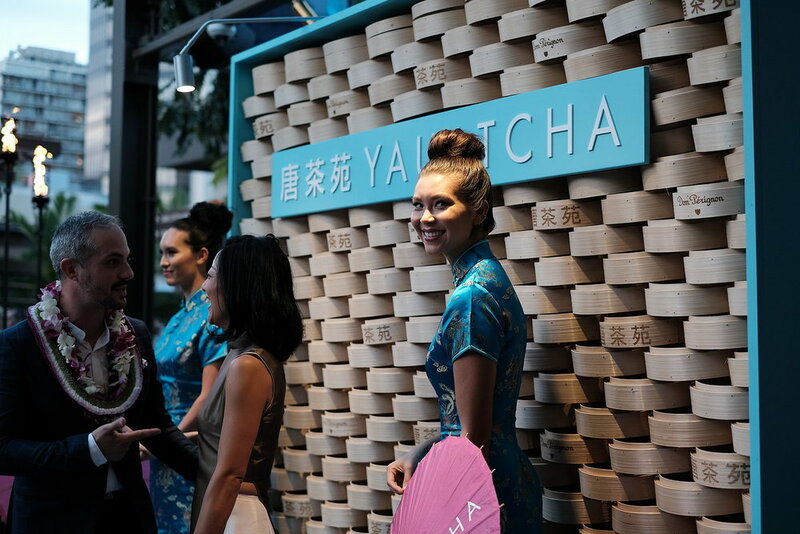 It was an awesome project and we were honored to have the opportunity to be a part of this special event for the Yauatcha and Hakkasan crew. 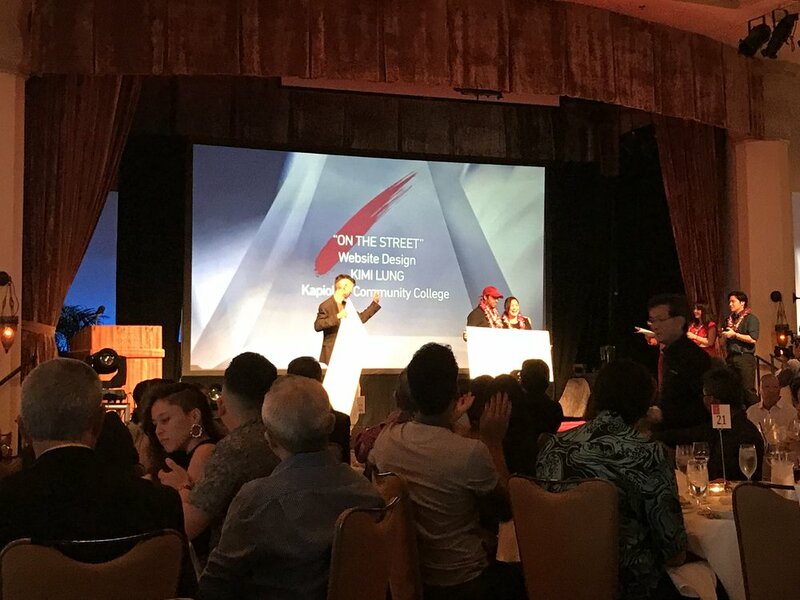 Congratulations to all the winners, and a special shout out to our friends Redefined Media and our intern, Kimi Lung for the Best of Show in the College Division which includes a $2000 cash scholarship! Mahalo to all the folks involved in the Pele Awards and look forward to next year! In 2013, we were the first company to introduce the iconic Louis Ghost Chair for event rentals in Hawaii. Today, we're excited to announce that we've increased our inventory from 100 to 200 chairs to offer the largest quantities of Louis rentals on the island. Rooted in design, Louis offers a premium and striking seating option for design-minded guests. With its timeless silhouette and modern construction, Louis provides a flexible seating option to fit a variety of styles. With Louis' larger oval back, ergonomic armrests, and deeper & wider seat, Louis provides guests the most comfortable seating option over other ghost chairs in the market. Your guests deserve the best and our white glove service ensures Louis is precisely lined up by our detailed crew for that perfect first impression. Polished before and after each event, we ensure our inventory is well-maintained for all of your future events. Learn how TWC offers couples awesome wedding resources and some serious caffeine from Brue Bar. Read how we designed a chic evening for a special celebrant. Find out how over 4,200 roses bring this stunning decor element to life. Read how a group of creatives get sketchy in Oahu. Read what happens when Vegas converges on The Modern Honolulu as guests ring in 2015. Three guys. Two years. One vision. Read how fashion and flight came together at with Hawaiian Airlines at Honolulu Fashion Week. Discover how four disciplines of design come together under one roof. Read how we transformed The Addiction Nightclub into a disco-inspired experience this past Halloween. 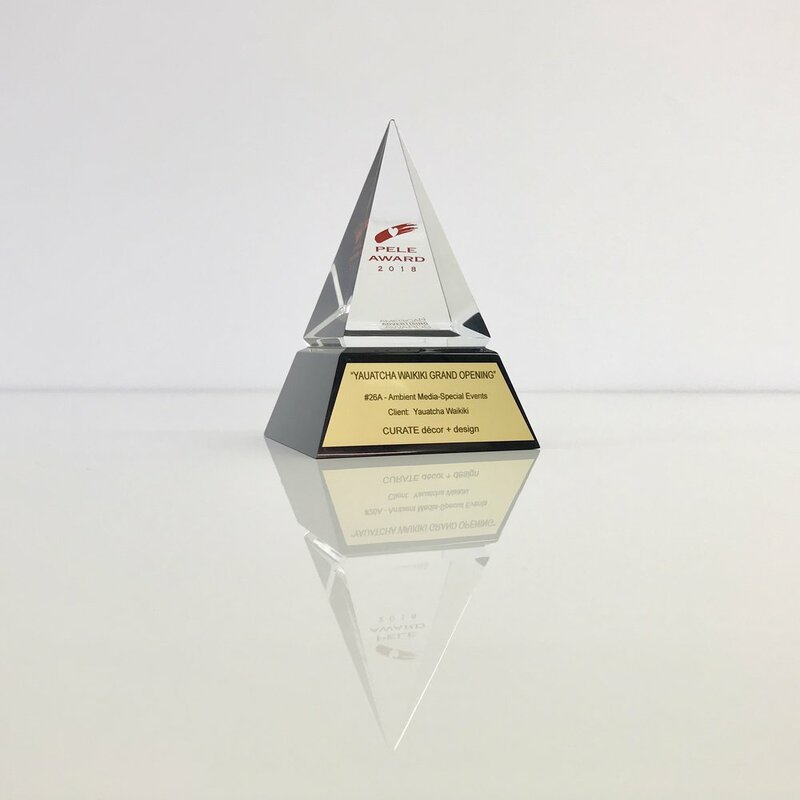 Read about our winning design for the 2014 BizBash People’s Choice Award. Learn more about Event Design and how Event Designers can be your dedicated creative partner to help craft the design, décor, and experience of your event. Learn more about how you can vote for the holiday installation we created at The Modern Honolulu! Read how a night-time run raised awareness for an awesome cause. Discover what these couples learned from several Hawaii wedding experts at The Honolulu Design Center. Find out why the "Louis" is the most luxurious of the Ghost Chair line of products. Read how a tuxedo inspired our team to create an editorial to celebrate Pride Month and catch a sneak peek of some new goods we'll be releasing shortly. Fasten your seat belts and discover how we designed this flight-inspired event for our client's 30th birthday celebration. Read how our new Estate Mirror Collection can help create an elegant experience for your event. See how the Honolulu Design Center welcomed Italian design powerhouse, Kartell. Read about our newest collections and watch a video to see what we've curated for you. Read what happens when 125 renowned floral designers descend upon San Francisco. OhJoy, Spring is Almost Here! Read how Louis Ghost Chair were incorporated at OhJoy's editorial shoot crafted for Target. Read about the set we created for Project Runway Alum, Ari South. Find out how we created this 14-foot chandelier to celebrate our birthday with a dramatic editorial. Read about how weddings, Thai traditions and a modern boutique hotel come together in Thailand! Find out how this architectural gem and Ghost Chairs come together at a Historic Residence in Kahala. Get a peek at our creative process and learn about the magic we created this holiday season at The Modern Honolulu. See what went down in a Kakaako warehouse with the creative rockstars of AIGA Honolulu. Check out our Dome Chairs and Mr. and Mrs. Pillows, gracing the pages of Japan's largest wedding magazine publication, Zexy! Read what happens when boxwood and ballet get intimate at The Modern Honolulu Hotel. Scope out how our Louis Ghost Chairs were used at private dinner party at the Honolulu Museum of Art. Learn how we break the rules with fashionable white pieces, post-Labor Day. Read all about the 2013 color of the year: Emerald Green. The wait is over. Our website has officially launched!! Check out the amazing things we've curated just for you. The wait is almost over. Here’s a sneak peek of our upcoming website. Find out why Edward Scissorhands is in love with one of our products. Our Dome Chairs are fit for royalty. Read what Marie Antoinette and Nicki Minaj have in common with this statement seating option. Poly-what?! See what Superman, the Incredible Hulk, and the Invisible Woman have in common with the Louis Ghost Chair. Discover what gives the Louis Ghost Chair its "IT Factor" status. See how we created an interactive meet and greet with Boxwood, Ghost Chairs, and iPads at the 2013 Hawaii Bridal Expo. Like to Win Cool Stuff? Attending the 2013 Hawaii Bridal Expo? Stop by our booth and find out how to win some cool stuff. We're stoked to announce that we'll be at the 2013 Hawaii Bridal Expo from January 18-20th in Honolulu! Learn about all the details. Discover how design enthusiasts from around the world are celebrating the Louis Ghost Chair! Twelve days of Christmas mean twelve days of decor tips! Find out how to get the inside scoop on all our tips. Learn more about one of our flagship pieces, the iconic Louis Ghost Chair. Get spooky and spice up your Halloween decor this season. Yep, it's official...after a combined 40 years in the making, we're thrilled to set up shop in Honolulu.